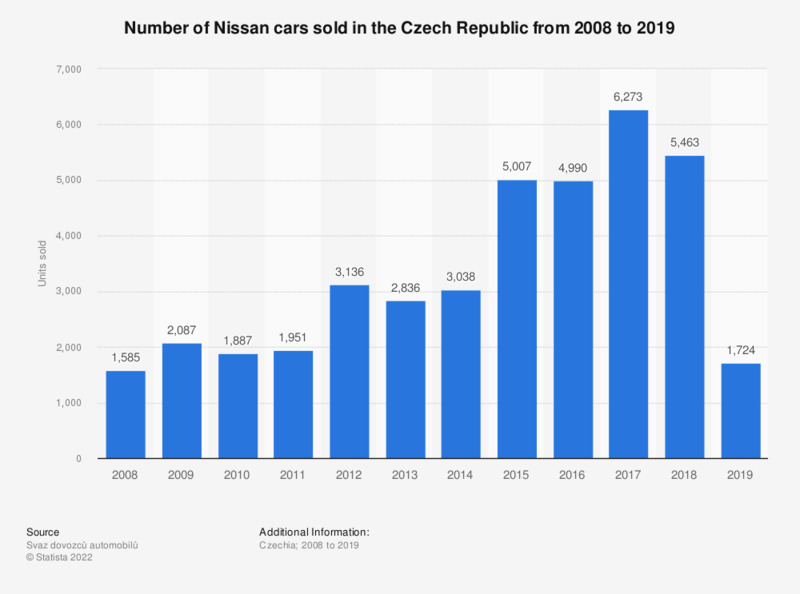 This statistic shows the number of cars sold by Nissan in the Czech Republic from 2008 to 2017. Czech sales of Nissan cars experienced net growth over the period, rising from 1.6 thousand units sold in 2008 and peaking in 2017. There were 6,273 Nissan cars sold in the Czech Republic in 2017 and Nissan held 2.31 percent of the market share. The biggest increase was in 2015 when nearly 2,000 more units were sold than in 2014.